I can't believe February is nearly over already! This month was our wedding anniversary plus valentines so lots of love to celebrate and I had the perfect kit to work with, Lime Tart's A La Tarte. This photo is of hubby and I all dressed up, our darling girl took the photo. 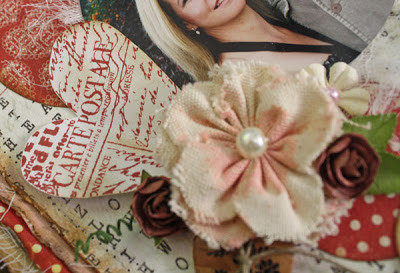 The papers are Authentique 'Lovely', so pretty and I love the texture of the papers. Included in the kit is Glitz Design paper layers, I fussy cut the old type writer and added it to my layout, I thought it went perfectly together with the patterned paper. 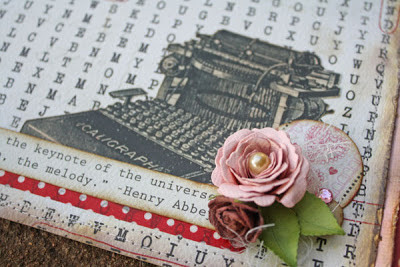 The gorgeous stamped heart is a Hero Arts stamp (included in the kit) and there are four different hearts. I added a touch of pink to the linen flower and finished the cluster off with some flowers. 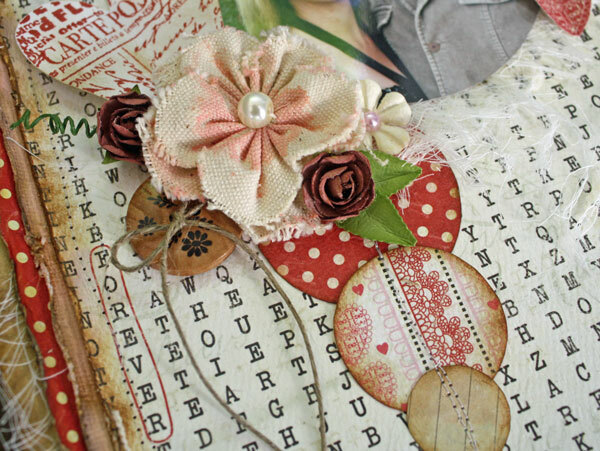 Tucked in some muslin, button twine and machine stitching for some extra texture. The quote is cut from the bottom of the Authentique papers. For the edge of my layout I stressed, inked and layered papers and muslin. The A La Tarte is a really beautiful kit to work with. 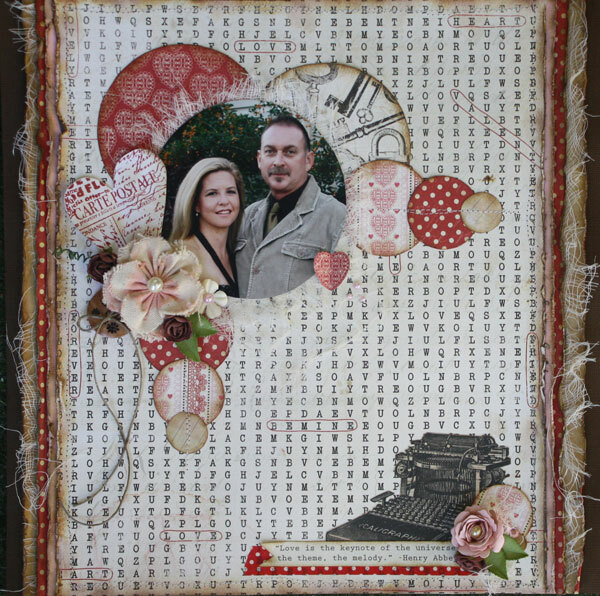 LOVE in capitals in your February month Colleen and great LO with picture of the happy couple !!!! 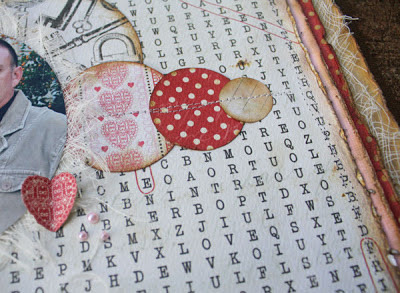 I just love those papers, the photo is divine, and I love the stitching, gorgeous inspiration for me.